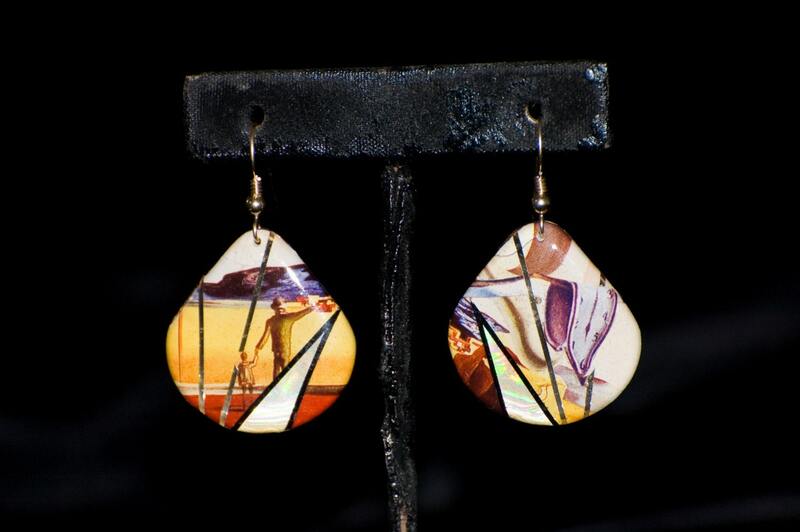 Teardrop Parrot Jungle Earrings, Salvador Dali Teardrop, Botticelli Teardrop Earrings. 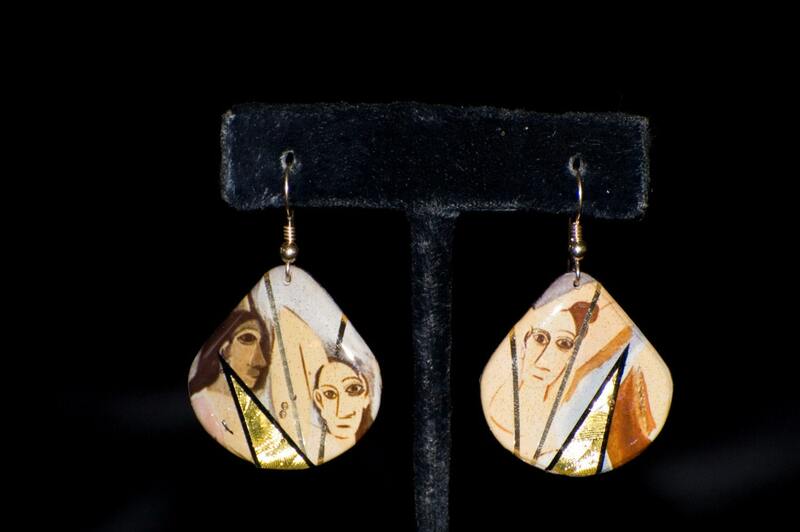 Small teardrop shaped earrings hand made from fiberglass on brass with an image inlaid. 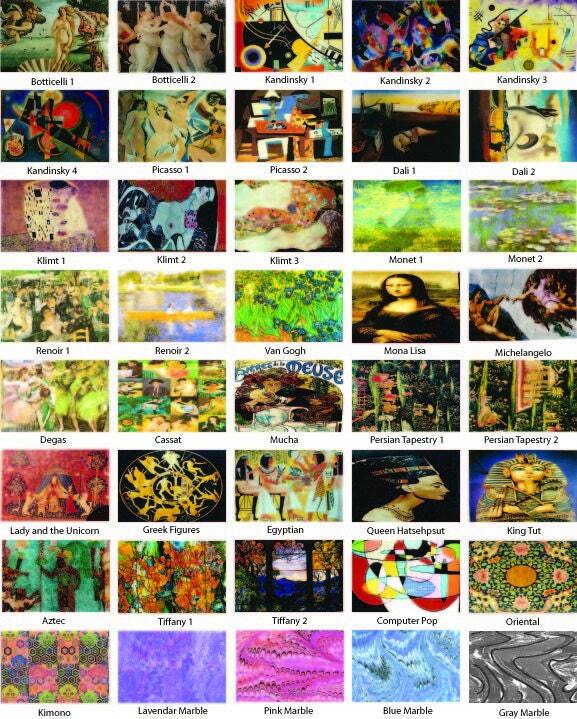 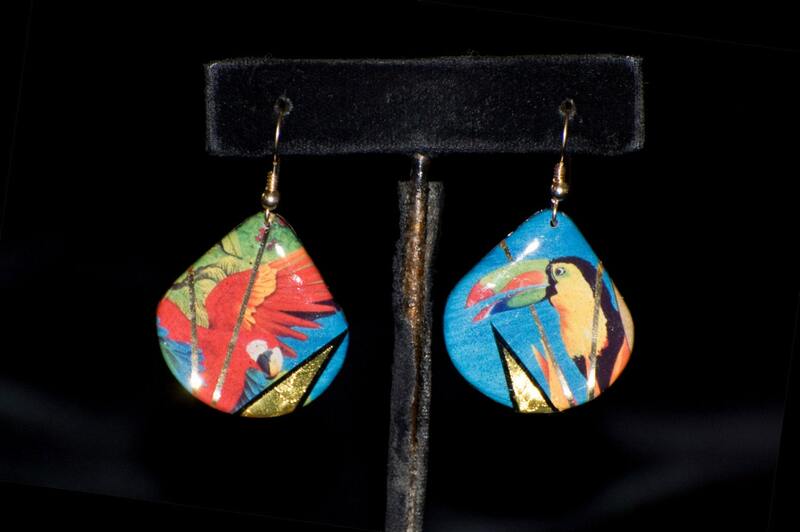 Earrings featured show an image of tropical jungle birds, a Dali painting, and an image of a Picasso painting.